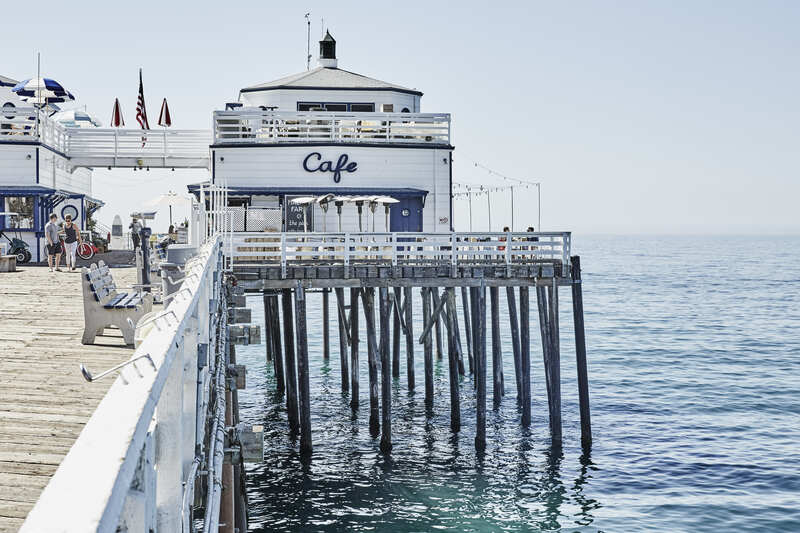 Often overlooked on the family holiday itinerary by tourists thanks to the likes of Santa Monica and Venice Beach, Malibu offers something unique and culturally iconic. A day in Malibu is the kind that feels like a day off, or a family day where everybody wins. So where am I actually going? About a half hour’s drive up the coast from Santa Monica, and no more than an hour from the studios of Hollywood, Westwood, and Culver City, therein she lies. 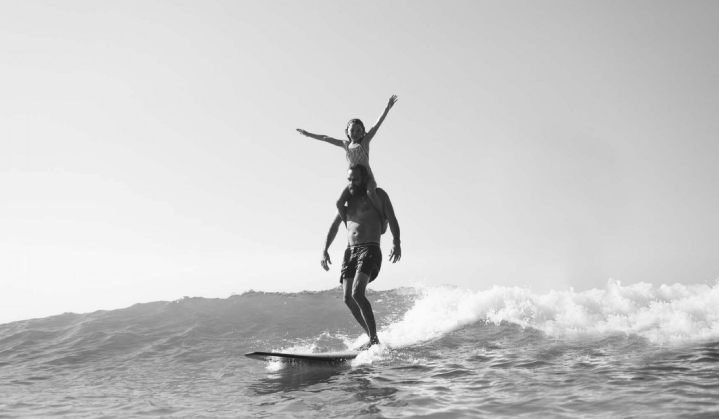 A town more synonymous with celebrities and surf than family outings. In my twenties, Malibu was a completely different town for me. Back then it was celebrity parties at houses right on the sand and beach days with the local cool kids. Sure, I sound like a wanker but it was exciting back then, the twenty-something me was all bright eyed, swept away by a world so different to my own, a world of fame and fortune. Fast track to the forty something me and I now know Malibu as something entirely different. 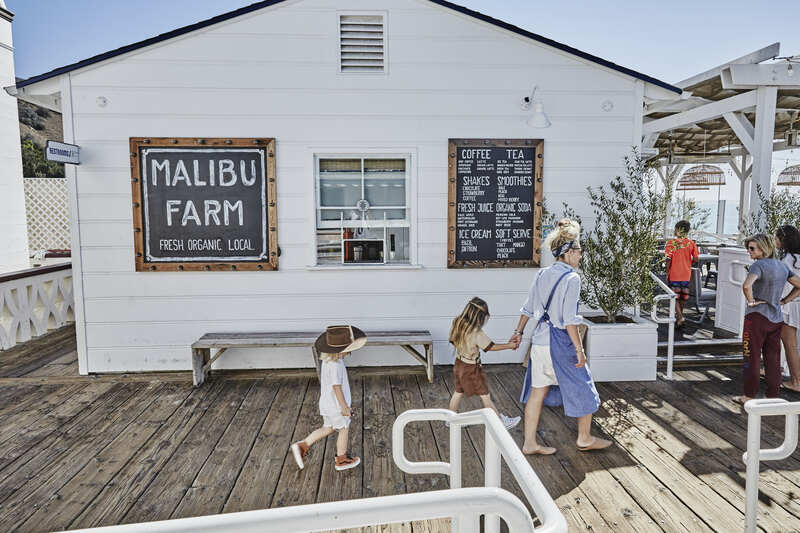 If you look past it’s star studded populace and scenic beauty you will discover a close-knit community of locally run businesses throughout Malibu’s 20-plus distinct beaches that to me is a really hidden gem for families. 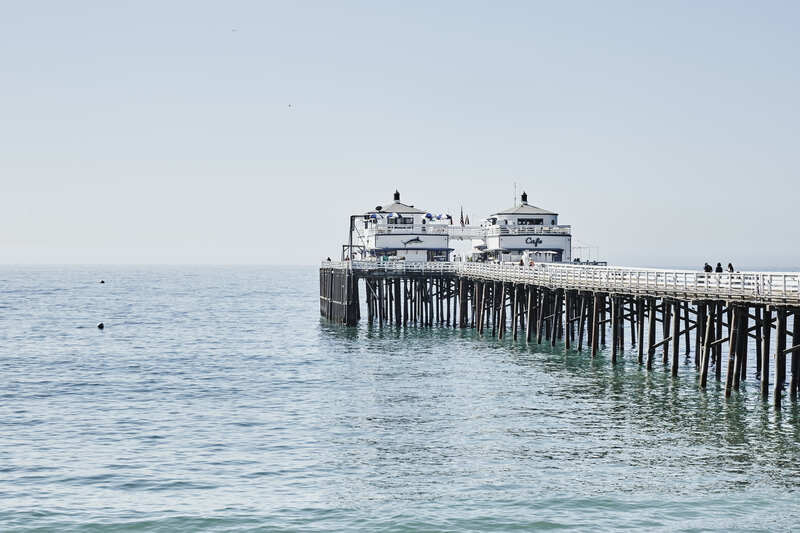 Historically significant Malibu Pier is one of the great piers of the State of California. Originally built in 1905 as a trade gateway for hides, grains, fruit, and other agricultural products. Drive about half an hour west on the Pacific Coast Highway from Santa Monica. Park valet in the Malibu Pier Lot right next door. You do have to pay but guaranteed a less stressful experience than playing Russian roulette parking on the PCH for free. Rush hour can really dampen your adventurous spirit so if you can avoid mornings and afternoons between 8am-10am and 4pm-6pm, do it. 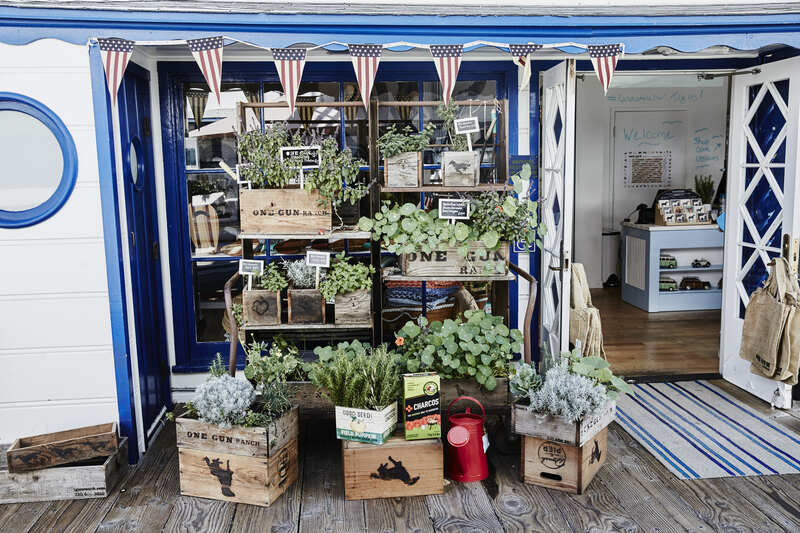 Founded by affable rancher Helene Henderson, it’s here that this locally owned small business whips up incredible organic fare at both locales (Malibu Farm Restaurant and Malibu Farm Café) for family, tourists and lucky Malibu locals. 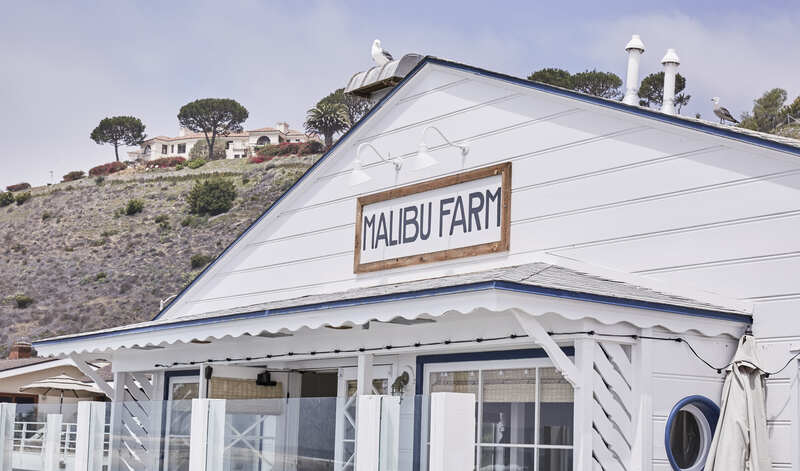 Before moving to the pier, Helene built a following by throwing some of Malibu’s best parties in her own backyard, the original Malibu Farm; soon after she took over a neglected spot on the Pier and well, restaurant genius ensued. What started as a popup eatery has become a mainstay, and while she still uses fresh produce from her farm (she fetches at least 30 eggs daily from her chicken coop and uses her homegrown food in the restaurant kitchen) she also sources ingredients from local farms and famers markets too, simply to keep up with the demand. You’ll find this at the start of the pier, and you can expect table service, a full bar and if you want to book ahead, you can make dinner reservations. The restaurant has patio and dining room seating; and serves breakfast on Saturday and Sunday only until 12noon. 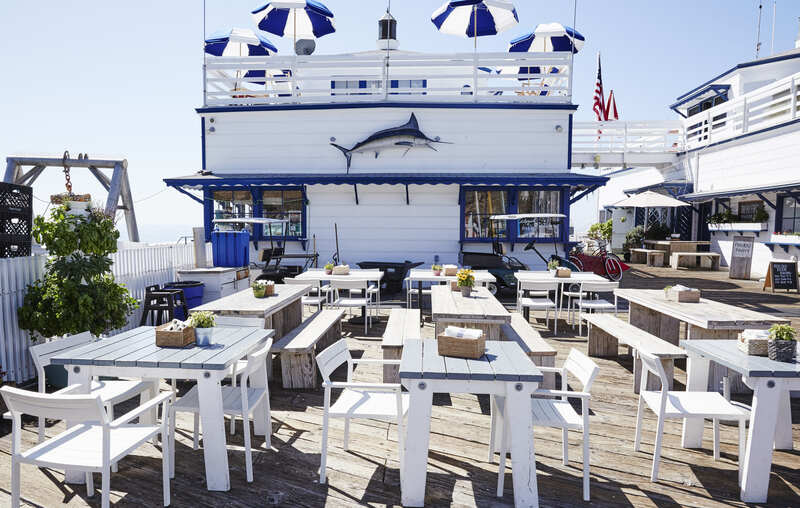 While it’s usually located at the end of the pier, it’s temporarily located at the start joining the restaurant. It’s a more casual counter service, you can enjoy fresh juices, beer, wine and a full espresso beverage menu; and while the café serves breakfast all day every day until 4pm, they accept walk-ins only. Adults | Fried egg Sandwich and Iced Cold Brew coffee with coconut milk. The view. It is pretty damn special and one of the main reasons this is such an epic day out. Here, the water is actually blue and one of the only places I know where you can be sipping your morning coffee literally next to someone going for a paddle. This view looks back on Malibu where you can get a feel for the vast canyons that lay behind her and the beachside homes that meander alongside the PCH. The pier looks back on and amongst some decent swell from Malibu’s most famous surf break, Surfrider Beach. It’s only a short walk from the Pier so it’s the perfect place to rent a board and get out there. It is an epic spot for kids to surf. If you don't want to hang ten (couldn’t help myself) join the local fisherman at the end of the pier where you can throw a line. Our kids were so intrigued with the locals fishing. In summer, the season peaks with halibut, thresher shark & bat rays while corbina & mackerel are year round catches. 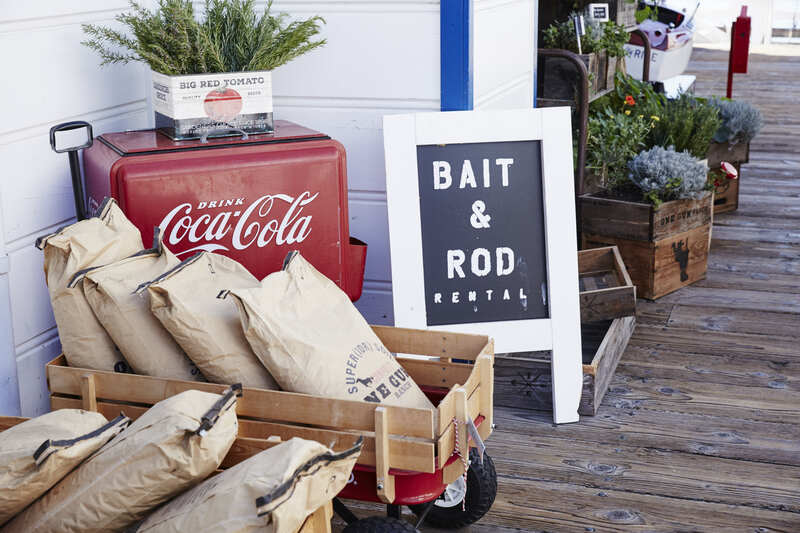 Both surfboards and fishing roads plus the accompanying bait, tackle and fishing permit can all be purchased and rented at Ranch At The Pier. The two level store located at the end of the pier feels more like a lighthouse home than retail space. 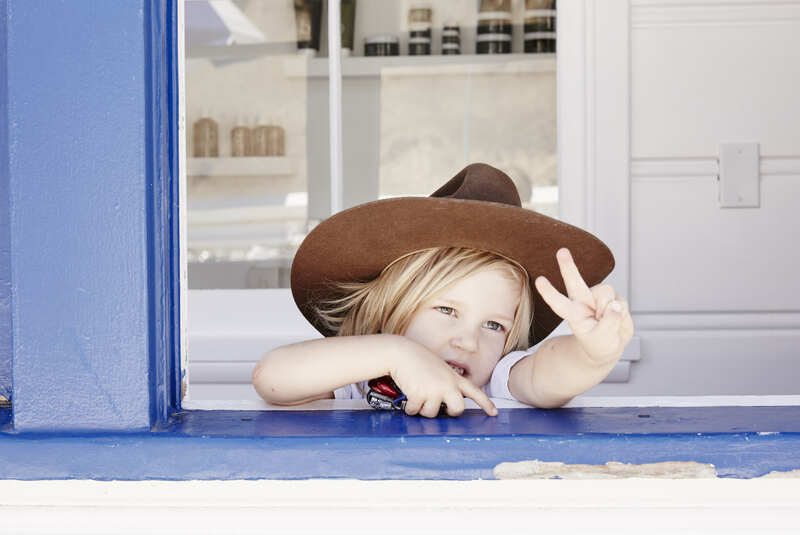 The brainchild of Alice Bamford and Ann Eysenring, owners of the 25-acre One Gun Ranch (a biodynamic, sustainable farm growing nearly 50 different crops, which sells to many top local chefs), this is a fun store to mosey around discovering local makers. The top level is more lifestyle and fashion with the lower level is a bit more gifty and tourist driven. 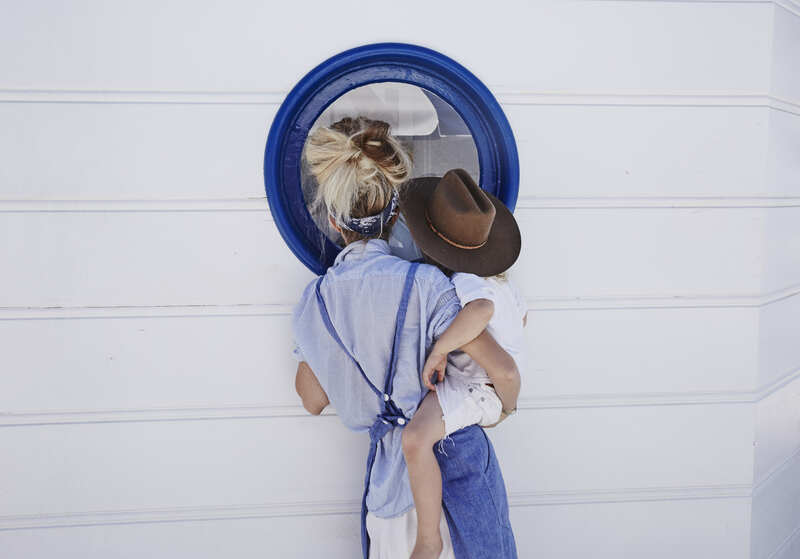 A great spot to grab summer linens, espadrilles and panama hats for mum and there are oodles of awesome things for the kids if you feel that way inclined. Hours | Monday-Thursday 9am-6pm; and Friday-Saturday 9am-9pm. 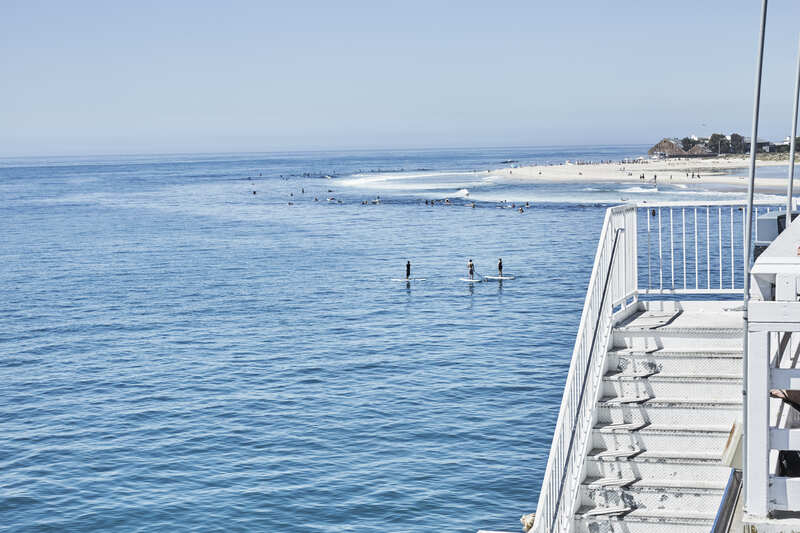 You might also be interested in our Malibu Beach Guide for the low down on navigating the areas top five family beaches. And for more details about the above locations, click on the websites below.